Out of the almost 2 million internally displaced people (IDP) in Iraq, 13% are families headed by women. Most of these women are widows, although some have fled their communities because of gender-based threats. In a country that gives women less opportunities than men, IDP women and their families can have significantly greater needs than other displaced people in the same area. For all displaced Iraqis, work opportunities make up the fourth highest need. Total unemployment and underemployment in Iraq has reached 28% in recent months. But because many Iraqi cultures discourage women from working, displaced widows have very little experience or training to help them access income. As a result, the IDP families headed by single women depend even more on aid than their male-led counterparts. They and their children have rising food costs, health care needs, and water that must be supplied by some outside source. On top of those needs, most of them have a rent to pay, which might not sound abnormal except that displaced Iraqis usually come from homes that they and many generations before them have owned. Rent is not only unusual – it is completely foreign to the widows who now have to add it to their budgets. Not only is it difficult for IDP women to maneuver through the system in order to secure enough aid for their families, but they also have to deal with the inevitable lack of resources to cover their needs. They might be able to figure out how to apply for aid, but that doesn’t always mean there will be enough. For example, in the area of health care for IDP families, women and children’s medical assistance is a grave concern. There are only 12.3 nursing and midwifery sources per 10,000 Iraqis, and only 1.5 pharmacists and 1.4 dentists per 10,000 people, but the actual numbers are much worse in rural areas. For rural IDP women, gaining access to those health resources is even more difficult than for the average Iraqi. After all, they have no transportation and no income. Iraqi women who have been internally displaced can enlighten us to the broader needs in Iraq. While IDP women usually have a much harder time acquiring simple resources, they mirror the larger society. All of Iraq currently struggles to access clean water; unemployment is high all over the country for men and women at 18%; and children in many Iraqi communities battle malnourishment. 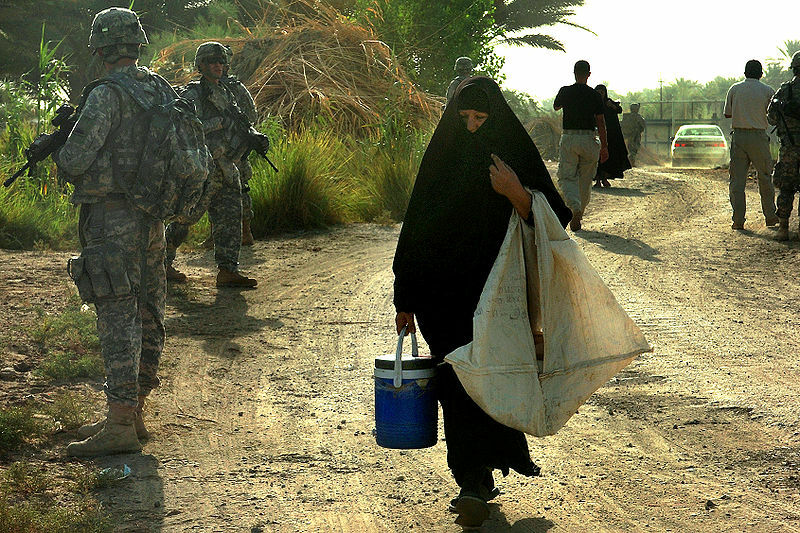 In these ways, Iraqi IDP women show us the normal needs of their country – magnified. These women can also teach us more about the refugee experience in general. Single mothers (usually widowed) around the world who have been internally displaced often request resettlement in a third place as a refugee. Most countries that accept refugees – including the United States – put emphasis on single mothers when determining whether or not to grant refugee status. Refugees get some aid from the host country (usually on loan) and can benefit from the broadened work and education opportunities outside of their country of origin. In the United States, it is not uncommon for a refugee family to look like one mother with several children. She comes to this country in a similar condition as she might have been in Iraq – no work, no income, no knowledge of how to use the system to her advantage. Many of them need training and job experience, and almost all of them need some childcare in order to have time to find an income. Sometimes communities of refugee women will band together to help each other with these needs. But volunteers for training, childcare, and basic provisions are easy to come by in the United States. They just don’t know where to look, and we don’t tend to offer it. Helping Iraqi women who are displaced homeless wonderers in their own land is a tough job these days. The USG seems hellbent on making more of them than we can possibly help just as it makes more enemies that the US military can possibly kill. At least we are past the GWB days of 7% unemployment, a failing economy, Gitmo still open, 4th Amendment shredding and wars all over the world.